In the Australian Open, 21-year-old Naomi Osaka defeated Petra Kvitova to win her second grand slam tournament. She won last year’s US Open over Serena Williams in an uncomfortable way after Williams argued with the chair umpire for accessing her point and game penalties. 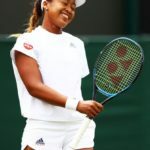 Williams heated exchange with the umpire overshadowed Osaka’s first grand slam win, but now she’s on top of the world becoming Japan’s first player to achieve a #1 ranking. Super Bowl Sunday storylines continue all week, and New England quarterback Tom Brady is getting his share of attention. One of the ongoing questions for him is whether he’ll retire after the game. On an ESPN segment, Brady shut down that line of questioning and emphatically said, “zero” chance of retiring. He continued, “I’ve said that for a long time. I feel like I’m asked that a lot, and I feel like I repeat the same answer. 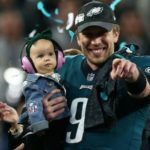 But no one believes me.” If the Patriots win on Sunday, Brady, at 41 years old, will become the first player in NFL history to win six Super Bowls titles. New Orleans Pelicans forward, Anthony Davis, has requested a trade. His agent said, “Anthony wants to be traded to a team that allows him the chance to win consistently and compete for a championship.” Davis’ agent, Rich Paul, also represents LeBron James, and according to reports, the Los Angeles Lakers would be very interested in acquiring Davis in a trade. 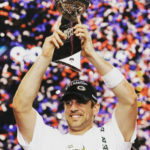 The NFL season begins tonight with the Atlanta Falcons taking on former Super Bowl champs, the Philadelphia Eagles. Pittsburgh Steelers running back Le’Veon Bell still hasn’t signed with the team and hasn’t reported for practice. If Bell doesn’t sign he loses $853,000 per week. 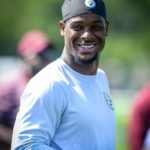 If he continues to hold out for up to nine games, Bell (at age 26) will be eligible for free agency next year. According to Bell’s reps, “he wasn’t going to accept another 400 touches on a salary he felt was below his value.” Bell is high on most fantasy football drafts, so there will be many angry fans if he doesn’t sign this season. In the men’s quarterfinals of the US Open, Novak Djokovic and John Millman had another tough match due to the intense heat. With just two games into the second set, Millman approached the umpire explaining he needed to change his clothes due to excessive sweating. The umpire ruled that the conditions were excessive enough to invoke the “Equipment Out of Adjustment” rule and allowed Millman to leave. Djokovic ultimately won 6-3, 6-4, 6-4 and will advance to the semifinals against Kei Nishikori on Friday. In a big stunner at the US Open over the weekend, 2nd seeded Roger Federer lost to unseeded John Millman. 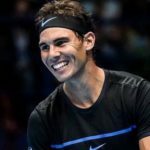 Fans were anticipating a big quarterfinal match on Wednesday between rivals Novak Djokovic and Federer, but that will have to wait for another tournament. Federer described his loss by saying, “I just thought it was very hot tonight. It was just one of those nights, I guess, I felt I couldn’t get air. There was no circulation. … Maybe when you feel like that, you start missing chances.” With a ranking of# 55, the win marked Millman’s first time beating a top 10 opponent. 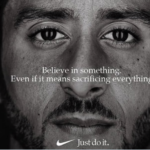 Nike is grabbing headlines for making former quarterback Colin Kaepernick the face of their new 30th Anniversary “Just Do It” campaign. The ad shows Kaepernick’s face with the tagline “Believe in something. Even if it means sacrificing everything.” Kaepernick has been a Nike client since 2011, but the company didn’t know what to do with him since he started his National Anthem protests in 2016. The ad campaign has already garnered both praise and backlash for featuring such a controversial figure (particularly as Nike is a corporate sponsor of the NFL). According to reports, the the New York Jets traded quarterback Teddy Bridgewater to the New Orleans Saints essentially confirming that their #3 pick Sam Darnold will open the season. Bridgewater found out he was traded on Wednesday and just had time to board the bus and say his goodbyes before the team left for their final pre-season game. New Orleans will start veteran quarterback Drew Brees (39 years old), but Bridgewater may be their quarterback of the future. Cleveland Browns linebacker Mychal Kendricks admitted to insider trading and could face jail time. Kendricks received non-public information about trades from his friend Damilare Sonoiki who used to work for Goldman Sachs (and is now a writer for the show Black-ish). Kendricks reportedly made $1.2 million off of this information and paid Sonoiki back with cash and tickets to games. Lakers guard Lonzo Ball had a distinctive shooting style which many criticized (particularly during his rookie season in LA), but now Big Baller Brand posted a video of his new more traditional shot. We’ll see if it makes a difference this season. The heat wave at the US Open continued on Wednesday, so during a break Alize Cornet went into the locker room to change her shirt. When she returned to the court, she saw her shirt was on backwards and reversed it. She was wearing a sports bra, but the umpire gave her a code violation for unsportsmanlike conduct. According to the Telegraph, “When she returned to the court, Cornet realised her shirt was on the wrong way round and so quickly changed it. The adjustment took no more than 15 seconds and she was wearing a sports-bra. However, the chair umpire stunned Cornet by hitting her with an unsportsmanlike conduct penalty – though it wasn’t immediately clear if it was for a time violation or the actual shirt removal – in response to the seemingly innocent action.” Many are outraged at this action, particularly as men take off their shirts all the time. After the uproar, the US Open issued a statement of apology. Running back Le’Veon Bell hasn’t reached a contract agreement with the Pittsburgh Steelers yet and has sat out of training camp and the preseason. When asked if the rumors were true he’d be joining the team on Labor Day, he said “Don’t believe the fake news. I never said anything to no one”. Speaking of ice baths, playing in extreme heat at the US Open, Novak Djokovic and his opponent Marton Fucsovics, took advantage of the rule allowing for a 10 minute break after the third set and sat naked side by side in ice baths to cool off. Djokovic remarked on the situation and said, “we battled for two-and-a-half hours and then we were naked in the ice bath. It was a magnificent thing.” The heat index was so high on Tuesday five players had to retire before finishing their matches. The Wimbledon men’s semifinal was one for the ages. After 6 hours and 35 minutes, Kevin Anderson beat John Isner 7-6, 6-7, 6-7, 6-4 (26-24). Isner has now played in the two longest matches in Grand Slam history. In 2010 (also at Wimbledon) Isner beat Nicolas Mahut in a match lasting 11 hours, 5 minutes over 3 days time. Anderson ultimately lost in the Finals to Novak Djokovic (who beat Rafael Nadal in the semis). In the women’s final, Angelique Kerber defeated Serena Williams 6-3, 6-3 ending Serena’s exciting comeback after a 13-month maternity leave. France prevailed over Croatia to bring the month-long World Cup tournament in Russia to an end. The win marked the second time in team history France has brought home the title. 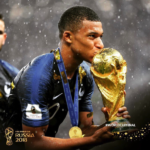 19-year-old Kylian Mbappe became the stand-out star during the tournament securing his place in history as only the second teenager to score a goal in a World Cup final (the first was a 17-year old Pele in 1958). Mbappe further impressed the sports world by announcing he’ll donate his earnings from the tournament to a charity offering free sports instruction to disabled children.